We've all heard stories about the full moon making people and animals behave in strange ways. When the moon is full, we can see the whole "face" of the moon for three or four days. According to legend, the full moon can cause werewolves to change shape, and people to go mad or commit more crimes. The full moon caught the public's attention this summer in another way. Each year, we experience times when the earth and moon come close together in their orbits. Astronomers, or scientists who study the solar system and celestial bodies like the moon (astronomy), call the point at which the moon's orbit is closest to the earth the "perigee," while the point farthest away is the "apogee." During some months, the earth and moon come closer together in orbit. These "perigean" moons may look brighter and larger than usual. Astrologers, or those who see relationships between astronomy and people, call these moons "supermoons." This term is credited to astrologer Richard Nolle and has become popular in the media. 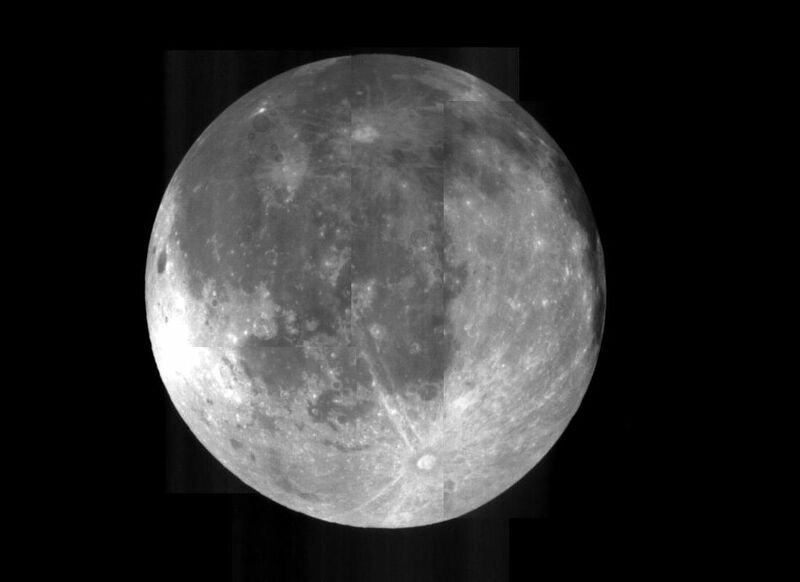 The first of three perigean full-moons in 2014 occurred on July 12. According to some sources, the centre of the moon and the centre of the earth were about 361,800 km (224,800 mi) apart. We will see this "supermoon" again on August 10 and September 9. For more information about the night sky, see Joan Marie Galat's "Observing the Night Sky" here on Sci/Why. Marie Powell is the author of 15 books for children, including Dragonflies are Amazing (Scholastic Canada) and the Word Families series (Amicus Publishing). There are plenty of whales in the news these day. The recent news from the Canadian government that humpback whales are increasing in numbers was good to learn, and you can read about it here; but because there are a few more humpbacks now, this species is no longer considered a "threatened" species in Canadian waters, only "a species of special concern." Are the whales being protected enough from people's activities in the whales' critical habitat? 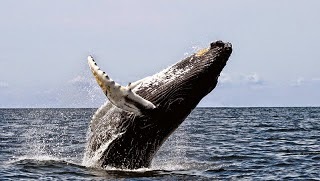 There's a map showing humpback whale habitat areas at this link. Meanwhile, here's an image from the Department of Fisheries and Oceans to remind boat users to leave a lot of room for whales when we see them near our boats. The sad news about whales is that nine blue whales died late this winter off Newfoundland, because of unusually thick sea ice. Two of the whale carcasses drifted to shore on beaches near the towns of Trout River and Rocky Harbour. But here is where the sad news gets interesting. A 60-tonne body of a whale stretches out along a beach in a way that just can't be ignored, especially when the whale begins to decay. Nobody wants to be downwind of a dead whale. As the mayor of Trout River said, "Rotting marine fat is probably the worst smell you've ever smelled in your life." He's right. I've seen a dead whale on the beach near Tofino, BC years ago. It was only a small grey whale, but it was the worst stink I've ever known! There have been some unusual efforts to deal with dead whales on other beaches. People have learned the hard way that it's better to deal with the whale before it rots enough to explode and spread bad-smelling goo all over the beach. There's a video at the Guardian newspaper's website showing a controlled release of the rot inside a dead whale -- click here only if you want to see something gross. Another dead whale in Oregon was dealt with using dynamite... which only spread the problem around in a spectacular explosion. On the other hand, a blue whale skeleton is an amazing thing to be around, when it's displayed in a museum. The Beaty collection at the University of British Columbia has a blue whale skeleton as the highlight of its collection. Several of us Sci/Why writers were delighted to visit the collection and take photographs as we admired the blue whale skeleton. But mounted skeletons don't just happen quickly or easily. (If you're interested, you can click on this link to read a series of tweets about a smaller whale being prepared for display on Vancouver Island.) The town of Trout River would never be able to afford the work it would take to prepare their own blue whale skeleton for their own little museum. What was to be done? Meanwhile, the dead whales began to stink, and to swell up with gas. There's a photo at this link showing how the slim body of one whale has swelled till it looks ready to pop. It was a lucky thing when the Royal Ontario Museum in Toronto approached the towns of Trout River and Rocky Harbour about taking the whales for their museum. It took big boats and teams of scientists and workers, but they managed to get the whale bodies away from the towns. The bones were packed in boxes to be cleaned. There was no explosion for the team of workers to deal with, because the whales had already released a lot of their stinky gases before being cut apart. Yes, the stinky gases were released the same way a lot of stinky gases get released by living animals... and whale scientists were able to discuss whale farts with journalists who were glad to have the good news to share around the world. When it comes to communicating science, talking to people in-person is still a valid approach. Often getting an idea or information across is about the experience, and interacting with real people. The Quarantine Tent is an experience. Here, visitors meet people transported from the past who have vaccine-preventable diseases from an era before vaccines were available. At the Quarantine Tent, volunteers play the roles of diseases vaccination can now prevent. Pippa Wysong photo. With vaccination rates dropping, diseases such as whooping cough and measles that were once tamed in populations are starting to make a come-back. And for some people, these diseases have debilitating long-term effects. Many of today’s parents don’t have the context, in terms of history, as to what the risks of these diseases mean in terms of a non-vaccinated population. The Tent was first presented at Canada’s biggest, nation-wide science festival, Science Rendezvous in 2013 at the University of Toronto location where the actors (mostly medical students) and I interacted with over 500 visitors to the tent. As of July 2014, the Tent has now been to two Science Rendezvous festivals, was invited to set-up at a 100th anniversary fair put on by Sanofi-Pasteur on the historic Connaught Laboratories property, and hosted by the Hamilton Public Health Services for the city’s Open Streets festival. At the Tent you can meet smallpox. He’s 20, from 1921, and the blisters on his face and hands look terrible. He contracted the disease in Ottawa when he was visiting family during an outbreak. He lost several family members there to smallpox, including his father and younger brother. That year, Ottawa saw 1,352 cases, and 30%-50% of non-vaccinated people who got smallpox died. The last case in Canada occurred in 1967 from someone returning from Brazil. A success story of vaccination, globally smallpox was eliminated in 1979. Or meet diphtheria. She is 19 and from 1913 when there was an outbreak in Toronto. She‘ll tell you how she lost her kid sister from the disease just a few days ago, how a younger brother is struggling, and will describe the symptoms of “The Strangling Disease”. In the 1920s, diphtheria killed 15% of children between 2 and 14 every year. Until 1920, about 12,000 cases and 1,000 deaths occurred each year in Canada (those numbers would be bigger with today’s population). After the vaccine was introduced, diphtheria deaths and incidence fell sharply and major cities, for the first time, reported zero cases by the mid 1930s. The Quarantine Tent also features polio, HPV, measles, 1918 flu and whooping cough. My grandfather, Dr. Gordon Bates was a physician and national public health activist from WW-I through to the 1970s who treated these diseases and saw the havoc they wreaked. The inspiration for the Tent came from the stories of old that I grew up with, and the education bug is probably inherited. Vaccines have been an incredible success story in terms of reducing the incidence of these diseases. Unfortunately, growing numbers of people not vaccinating their children – largely because they don’t know how devastating these diseases, unchecked, really can be. People from the past will tell you about seeing loved one or friends getting sick, dying or developing disabilities from these diseases. Ever hear of the permanent hearing loss caused by ‘measles ear’? Serious complications occur in upwards of 10% of measles cases. Or, they have been misinformed about the safety and efficacy of vaccines, both challenging things to communicate to people who don’t understand statistics. A simple message from the Tent is ‘what does society look like without vaccines’? Or, they’re worried about ingredients in vaccines (which were all tested for safety before being added, by the way). Formaldehyde sounds scary. But the amount in a vaccine is far less than what your own body produces, and 600 times less than what occurs in a pear (it’s a natural metabolite), and is easily cleared by the body. With many things, it’s the quantity that makes the poison and the amounts naturally made by your body and in vaccines are miniscule. 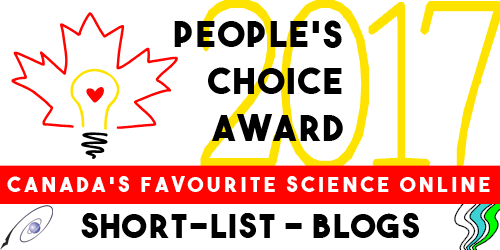 By the way, there are over 12,000 peer-reviewed studies in the medical literature on vaccines, population effects, long-term effects, safety and more. Knowledge is constantly increasing. No medical treatment is 100% effective or 100% safe, and that’s another difficult concept to communicate. People would like zero risk, but that’s not possible. Surgery and headache remedies have risks too, but most of us benefit from them. A risk that is ‘rare’ is difficult to communicate because people think ‘what if I’m that one?’. So, turn that around to how ‘common’ the risks are if diseases are unchecked -- and suddenly a ‘rare’ risk looks better. There is always someone out there for whom a treatment doesn’t quite do the job, or who experiences a bad side effect. But looking at it from a population point of view, the treatments are far safer and beneficial than having masses of people suffering the condition. All these diseases (except smallpox) are still around, and if vaccination rates keep dropping, could make a serious come back. All of them. So, vaccines, why bother? Take a trip to the past to find out. Once in a Blue Moon (or in this case, a Goodnight, Moon), all your fields of interest wind up coinciding. Or coalescing,as the case may be, into one giant, brilliant hyperbang of kidlit, science-y marvelousness. This happened to me today when I opened my browser and read about a new development in the world of technology. Or should I say in the world of children's literature? Or...Eureka! Both! Last year, I had the great good fortune and honour to be a judge at the CNIB's Braille Writing Contest for Children. I learned so much. From the kids, and from the incredible staff at the CNIB, who have developed dozens of ways to help the blind people they represent live the fullest and most productive lives possible. The inevitable and unremitting need for funding. The fact that their constituency is literally coast to coast to coast - a tough reach for a library. And the fact that most of us out here in the sighted world have no clue about how to accommodate blind kids, or even that we need to. One perfect example was presented to me by CNIB Librarian Karen Brophey. She described exactly how much work goes into making sure her library can participate fully in the TD Summer Reading Club (kicking off RIGHT NOW across Canada). Thanks to the CNIB, kids across the country can participate in the TD Summer Reading Club using the tactile and audio materials they develop.They make selected works for the program available in alternate formats like braille and audio books. They create program materials like tool kits and inclusive activity ideas. And CNIB staff reach out to over 900 public libraries across Canada to provide training on how to implement the accessible reading club in local libraries. Now let's circle back around to my Eureka moment: my discovery of the hot-off-the-press technical innovation of 3D-printed tactile picture books. Thanks to new technology, visually-impaired kids who until now were deprived of the full joy of reading a picture book suddenly can. They can feel the cow jumping over the moon in Goodnight, Moon, and touch the bowl of mush, and the old lady whispering hush. They can participate fully in the magic of illustrated books on their own. Tom Yeh, an assistant professor in the University of Colorado's Department of Computer Science who directed the 3D picture book project, says, "The idea of tactile picture books is not new. 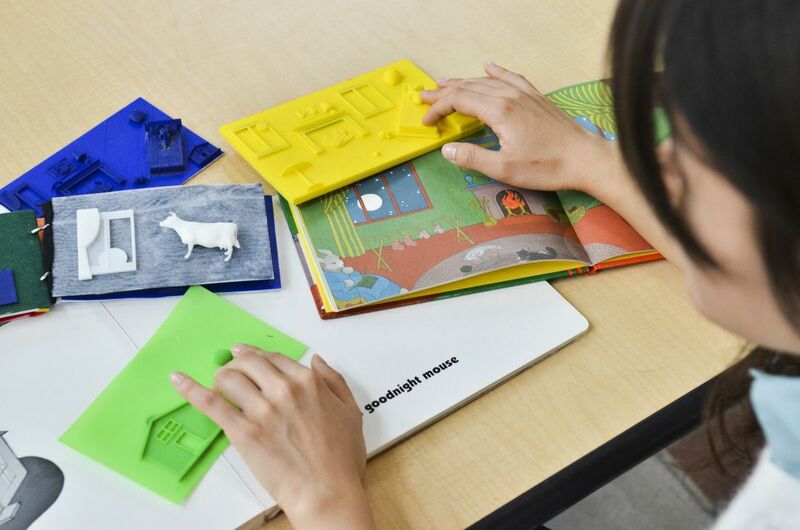 What is new is making 3D printing more accessible and interactive so parents and teachers of visually impaired children can customize and print these kinds of picture books in 3D." To reach that goal, Yeh and his team integrate computer technology and mathematical diagrams to produce books kids can feel. "This project is much more difficult than I envisioned, but it also is much more rewarding." The Tactile Picture Book project has so far produced touchy-feely versions of Goodnight, Moon, Harold and the Purple Crayon, The Cat in the Hat and The Very Hungry Caterpillar. More are undoubtedly on the way. But even more important, as the price of 3D printing comes down, people will be able to print their own tactile books, customized to each child's unique needs. Coincidentally, this year's theme for the TD Summer Reading Club is Eureka! If you're in or near Calgary, AB in early August 2014, consider visiting the convention called When Words Collide. 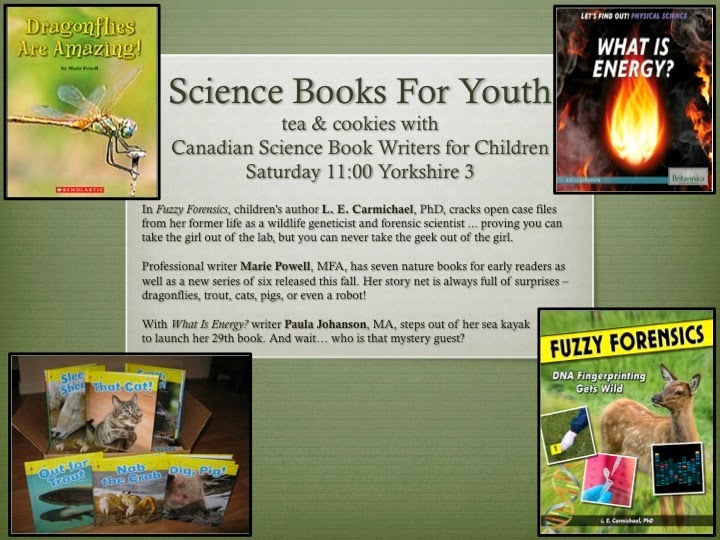 Several of the Sci/Why writers will be attending with our friends who also write science books for young people. And on Saturday August 9, three of us will be launching our new books there! Look for Lindsey Carmichael with Fuzzy Forensics, Paula Johanson with What is Energy? and Marie Powell with her books on Nature.